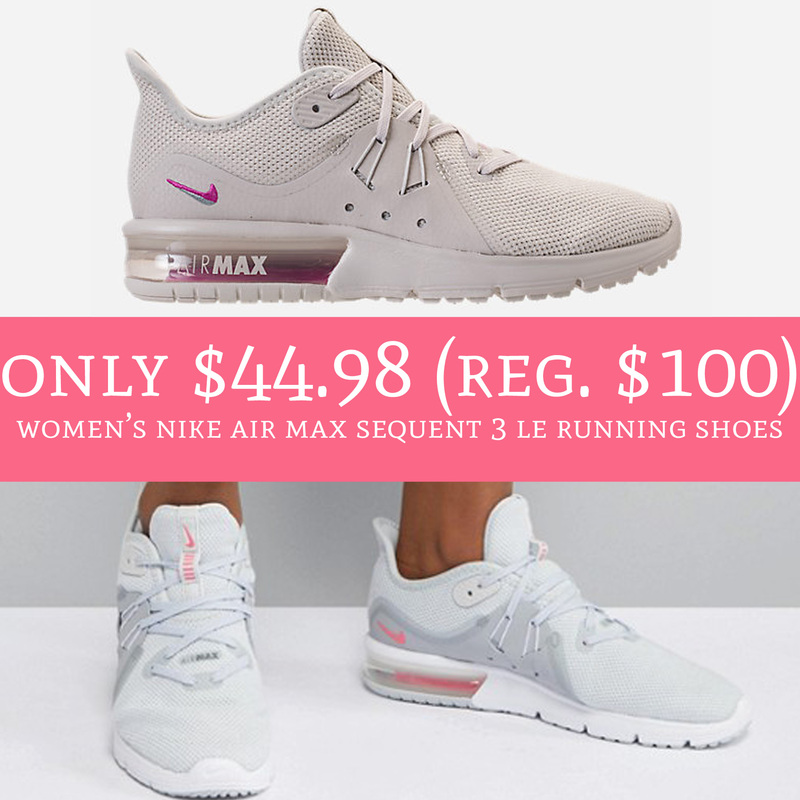 Run over to FinishLine.com where you can order Women’s Nike Air Max Sequent 3 LE Running Shoes for just $44.98 (regular $100). Sizing is selling out quickly because this price is HOT! You will want to hurry and order this deal now! Note that shipping adds an additional $7, or choose pick up in store where available. Order yours here!